Yesterday I had a bunch of 1 x 4s stacked to build windows frames today. Then it rained. All night. 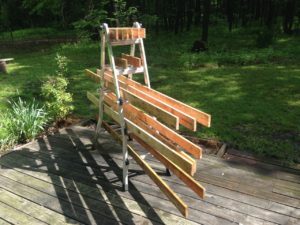 So I came up with this rack to dry them quick since there only seems to be one dry, sunny day.